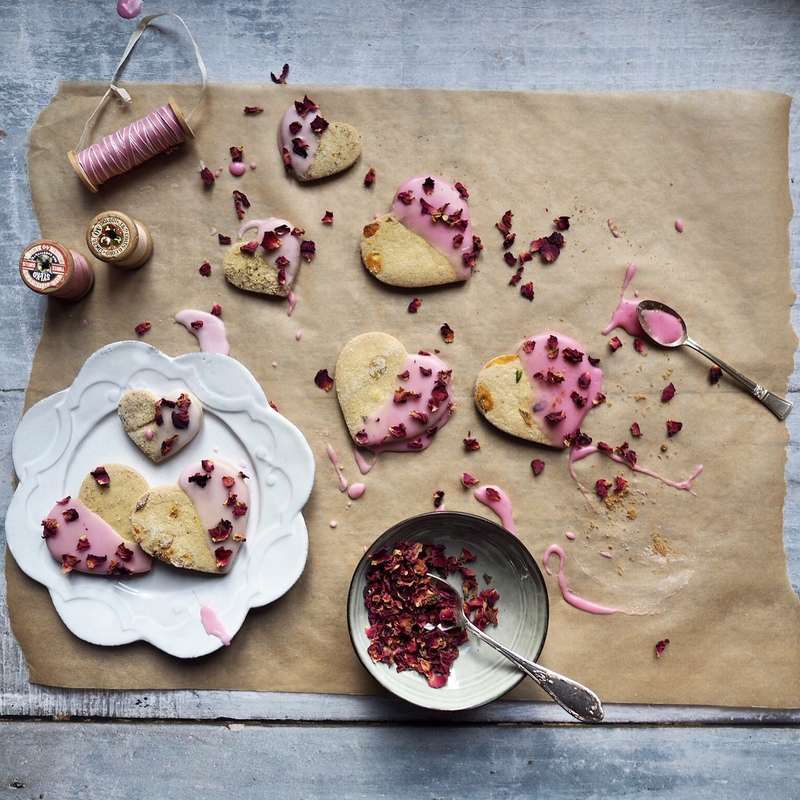 Rose Petal Biscuits are an easy Valentine’s Day hack. You can make these biscuits or you could just buy plain heart shaped biscuits and just do the pink icing dipping. This is great to make with your kids from the very beginning or even just the messy part. Preheat oven to 180 C / Gas mark 4.Cream the butter. Add the sugar and beat until light and fluffy. Beat in the egg and vanilla extract. Gradually add in the flour. Cover with clingfilm and chill dough for at least 1 hour.Roll dough out on a lightly floured surface to roughly .25cm thickness. Cut into desired shapes, using lightly floured biscuit cutters. Place biscuits on ungreased baking trays. Bake in the preheated oven for 8 to 12 minutes or until golden. Remove to wire racks to cool completely. Decorate as desired. 3 to 4 tablespoons milk or water. Add in either milk or water and mix well. If you want to add the vanilla extract now is the time. Mix a tiny bit of pink colouring in at a time until the desired colour. Dip half the heart into the icing glaze. Then sprinkle rose petals over for the finishing touch.